A couple of our divers just returned from a wonderful trip to the Philippines. One of the tales they were telling is how a professional underwater photographer, that was along on the trip, would use a red light for setting up the shot so that he didn’t spook the fish prior to taking the shot. This got me thinking about some of the group night dives I’ve been on and how the lights go crazy and it looks like the premier to a Hollywood film in the 1930s. So I’m going to take some time and pontificate on Dive Light Discipline. If you are diving in the clear waters of the Caribbean, odds are that you really need very little light just to look at all the wonderful aquatic life. The human eye is capable of gathering in and processing images with very little ambient light; if you give the eyes sufficient time to adjust. In general, nocturnal animals don’t like light and if you spotlight them with a big video light many will retreat into the shadows long before you get close enough to see them. So, you’ve just finished letting your eyes adjust to a low ambient light environment and BAM! your buddy shines his or her light right into your eyes; ruining your night vision for the next 30 minutes. So the first rule of Light Discipline is, “Never shine your light into your buddy’s eyes.” Any time you need to look at your buddy keep your light aimed down and only raise it up if you need to see them a bit better. Which leads me to, Why would you possibly need to see them better? Well the most likely culprit is that they are trying to use hand signals and doing a lousy job of it. If they don’t light a side of their hands facing you, you can’t see the signals. “When using hand signals at night do NOT shine the light out toward your buddy.” is the second rule of dive light discipline. Shine the light so that it crosses in front of your body and illuminates your hands. If the light beam gets to shining straight at your buddy all they will see is stars like they just had their picture taken. Finally the third rule of light discipline is, “Use your light with smooth fluid movements.” Move your light back and forth in a slow rhythmic pattern as you swim along. Try to cross your beam/spot in front of your buddy’s view every 20 to 40 seconds and ask them to do the same. This makes it very easy to keep track of your buddy. Violating the rule of smooth fluid movements will alert some divers to a potential problem. If you jerk your light around and aren’t having a problem you risk desensitizing your buddy to a potential emergency situation. Want to learn more about night diving? Stop by one of the shops and sign up for a PADI Night Diver Speciality Class. While you are there you can check out our dive lights, tank markers, and camera strobes. Today is a good day to dive! Join us Sunday October 26th at 1:00 pm for the annual underwater pumpkin carving contest. The contest will be held at Lake Sixteen near Martin/Shelbyville. If you need directions here’s a link to Google Maps for the lake: http://ow.ly/CHA2P . If you haven’t been to this before it’s a great time. Here’s a video from last year’s contest. While you check it out please subscribe to our YouTube channel. The cost for this outing is $10 for divers competing in the event and $5 for non-divers. This covers hot dogs, buns, plates, condiments and flatware. Additionally the fee covers prizes for the contestants. Please sign-up by Wednesday 22 October 2014 so that we can purchase all the necessary items. You can sign-up by calling either dive shop, stopping by the shop, emailing “dougc at gldl.com”, emailing “lakeshore at gldl.com”, or by using our new online sign-up tool available here: GLDL Event Signup or here Lakeshore Scuba Event Signup. Dive Gear (Rentals are available at both stores). A side dish or desert to pass. A pumpkin to carve if competing. In the event of a weather cancellation we will post a notice on our Facebook Pages and on our Twitter Feed. Protecting our ocean planet. One dive at a time. On Wednesday the 29th of October, 2014 Lakeshore Scuba and Great Lakes Dive Locker will be presenting a seminar on Project AWARE. The Project AWARE Foundation is a growing movement of scuba divers protecting the ocean planet. One dive at a time. The seminar is designed to familiarize divers and non-divers with the plight of worldwide aquatic ecosystems. During the seminar, participants will learn more about the role Project AWARE plays in protecting worldwide aquatic ecosystems. They will also learn about the importance of, and the interdependent nature of, worldwide aquatic ecosystems. We will focus on fisheries concerns, costal zone management, marine pollution, and what we can do to help conserve worldwide aquatic ecosystems. 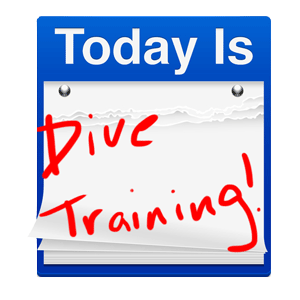 The seminar begins at 6:30 pm at Lakeshore Scuba in Grand Haven and runs approximately 3 hours. The seminar is free to attend, but advance registration is required. You can register by calling Lakeshore Scuba at 616-847-4444 or Great Lakes Dive Locker at 616-531-9440; stopping by either of the stores and adding your name to the sign-up; or by using our new online registration form: Lakeshore Scuba Seminar Registration Form. Remember it’s free to sign up so sign up now! Working toward your Master Scuba Diver rating? By attending the seminar and completing the course knowledge reviews, participants may earn the Project AWARE Specialty certification. This seminar/class is one of the many scuba diving classes and certifications that you can complete to earn the highest non-professional scuba diving rating offered, Master Scuba Diver. While the seminar is free, the certification requires a processing fee. The price to process the certification card through PADI is $35.00. You don’t need to be a certified diver to attend the seminar, or earn the Project AWARE certification. This is a great opportunity to share your passion for diving with a friend or family member and help educate them about the planet at the same time. Jonathan Levine immersed himself in diving shortly after his first open water training dive. His original intentions were to be an occasional vacation diver, but discovered the beauty and rich maritime history of diving in the Great Lakes and can’t spend enough time diving in and around Michigan. Jonathan is a certified PADI Instructor and enjoys wrecks and decompression theory. In between dives and dive classes he enjoys spending time with his wife and two daughters. Lake Sixteen’s visibility returns as the summer heat leaves the lake. Fall and spring are two great times to dive Lake Sixteen near Martin, MI. When the water is cool the visibility increases a lot. Especially in the 40-60 foot depth range. The lake was like glass as we began setting up our gear this morning and there was a chill in the air. It felt good to get into the water and warm up. Fall diving is great for that feeling. Three dives to the 80′ level definitely made it a hot chocolate morning wham the diving was done. Surface temperatures at the lake were just under 70 degrees. Temperature at 55′ depth was 62 degrees. Temperature at the 80′ depth was the typical 41 degrees. Visibility was 15 to 20 feet below the thermocline at 19 feet. Above the thermocline visibility was 8 to 10 feet. Weather on the surface was calm and mostly cloudy. Thursday September 11, 2014 Lakeshore Scuba and Great Lakes Dive Locker hosted a dive safety event called Dive Computers 101. This was an introduction to dive computers for both the novice diver who is seeking more experience and experienced divers who are switching from tables to computers. The students gathered at Lakeshore Scuba for the one evening class with dive computers in hand. Suunto Dive Computers were strongly represented, but the Oceanic contingent made a strong showing as well. The class’ first segment focused upon the rules for diving with a dive computer. This summarized the common rules presented during the PADI Open Water Diver course, but expanded into practical rules and practices from years of computer diving. An example given during class included: Always strap your wrist mounted computer to your BCD while donning or doffing your wet suit. That way if you forget to put the computer back on before the next dive you will still have it with you under water. After covering some of the rules for computer diving, the class moved on to pros and cons of computers vs. tables. This was enlightening to several of the students. They couldn’t imagine any benefit to the tables, and assumed that people only dove tables if they didn’t have a dive computer. The next segment of the class was a simulated 100′ wall dive using tables and using a computer. The simulation began by comparing the NDL for the tables and the computer. Everyone was surprised to seen that the computer actually had a lower NDL than the tables. The surprise came when the computer diver of followed the wall up to 70 feet 12 minutes into the dive. The computer dive now had a lot more bottom time available to hot or her. This pattern repeated as the computer diver continued to move up the wall. The final segment was dedicated to specific operation of the students dive computers. They were shown how to setup and configure their computer as well as how to extract dives from the logbook functions. As the instructor stepped the students through the use of their questions, there was a period for telling tales and asking/answering questions. The Dive Computers 101 class is an excellent springboard into three other classes offered at Great Lakes Dive Locker and Lakeshore Scuba. We offer Multi-Level Diver, Suunto Computer Assisted Diver, and Deep Diver. All three of those classes are dependent upon a student understanding the symbols and numbers on their dive computers. Stop by one of the shops and ask about those specialities as you plan your path to PADI Master Scuba Diver. Reaction to the class was positive and considerations are being heard for making this a quarterly class. Prevention is a powerful tool in dive safety. Educated and well trained divers form the cornerstone for prevention. 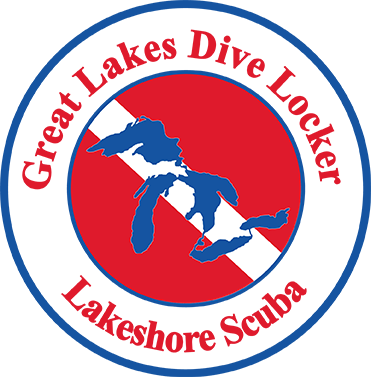 Great Lakes Dive Locker and Lakeshore Scuba demonstrate their commitment to dive safety with this and similar seminars throughout the year. Congratulations to Jonathan Levine, Great Lakes Dive Locker/Lakeshore Scuba’s newest Instructor!!! Jon has worked all summer to achieve this Professional Distinction! Watch the calendar for the newest offerings in seminars and classes. Well done Jon! Sunday Morning was cool and rainy, but the divers at Lake Sixteen were excited and ready to get wet. Well, completely wet and take on some nitrogen. The dive plan for the day was to handle some Open Water Diver training dives; complete a Peak Performance Buoyancy distinctive speciality; start an Advanced Open Water Diver program; and a pleasure dive for a diver certified only a couple of weeks ago. Elizabeth was ready for her first day of open water diving. She was excited to try SCUBA diving and had committed to the training because of friends that are divers. She was growing tired of all of them having the great stories and pictures and wanted to take part in the adventure. She was a little apprehensive with the newness of it all, but quickly got in the swing of things and was able to complete open water dive #1 and open water dive #2 with a big smile on her face. Christine had her eye on the end of her training and was geared up and ready to complete open water dives #3 and #4. She has a dive trip to the Caribbean planed and is looking forward to some warm water diving after all the training in the inland lakes. Training dives 3 and 4 require some of the skills that put everything you’ve learned to date to the test, but she nailed the objectives and can call herself an Open Water Scuba Diver now. Cassie was certified almost 10 years ago and has returned to work on her Advanced Open Water. Although she took a SCUBA review two months ago, she wanted to ease into the Advanced Open Water dives and began with a Peak Performance Buoyancy dive. Her dive skills were great, but some of the lessons and feedback from a dive instructor helped her streamline up and hone her buoyancy control. She is considering doing the second Peak Performance Buoyancy dive to get that much better at this vital fundamental skill. Roger recently completed his Advanced Open Water and wanted to get his buoyancy under control. Peak Performance Buoyancy was a natural next step as a great class for him. He completed the first dive of Peak Performance Buoyancy as one of his adventure dives for Advanced Open Water. He did great on the dives and is excited to count himself among those who have completed the PPB distinctive speciality. The last diver joining Doug and Jonathan was Bill. Bill decided to flesh out his life by pursuing adventures, and SCUBA diving was an adventure he started pursuing a bit ago. Since he started diving Bill has fell in love with diving and is excited to dive. Bill was surprised to learn that certified divers are welcome to join us on training dives if we have space available based on our student to instructor ratios. The look of wonder at seeing the huge Crappie and Bass underwater today was priceless. I regret not having a photo of the smile on his face as he told the tale. Despite the weather it was a great morning of SCUBA diving. The water was relatively warm, the surface was calm, and the slight breeze kept everyone comfortable on the surface gearing up and packing at the end of the dive. Of course, the post dive log book signing meal at Wayland Big Boy was fun. We all enjoyed telling tales of what we saw, what we learned and what we can’t wait to do. Please consider joining us for a training dive soon. Until then, Keep Calm and Dive On! This is the summary of our second day of diving at Haigh Quarry. To read about the first day of diving, look here. The weather was cooler and overcast for our second day of diving. We had three dives planned for the day and wanted to be on the road back to Michigan about 1:00 local time. To get started right, we made certain we were at the quarry when they opened at 8:00 and started setting up for our dive back into the deep hole to put the cap on the deep dive cache. We were surprised at the number of students queueing up on the surface to do their deep dive for Advanced Open Water certification. We politely explained what we were trying to do for our dive goal and none of the instructors minded if we dropped down the line to take care of the cache maintenance. The deep cache was just were we left it, but unfortunately the water was still a brisk 47 degrees at depth. After the maintenance, we did a nice slow controlled free ascent just to practice skills and give the AOW student divers plenty of space. A safety stop at 15 feet for three minutes wrapped up this dive. After spending a bit of time in the cold water at 80 feet, the water above the thermocline felt like bath water. Our second dive was to fine tune the location of the SW cache. Had a lot of fun on this dive. The depth is less and the water is about 10 degrees warmer. This makes for more time to get things perfect. We quickly located the correct coordinates and then set a reel to start looking for the cinderblock we had placed the day before. Tim and I are both Search and Recovery Specialty Divers and our training with a reel really paid off. It is surprising how quickly skills like reel use can degrade if you don’t use them. The reel led us right back to the cache spot with the cinderblock and we were set for this cache. Another free ascent with a 3 minute safety stop and we were swapping out our tanks for the last dive of the day. While on this safety stop Tim noticed me switch to my octopus and quickly did the same. Tim realized what I was doing and thought it was a great idea. A lot of divers give their octo a puff or two during gear setup and don’t give it any thought until there is an emergency. I try to do a safety stop or two off the octo every dive trip just to make certain it is functioning. I’m looking for water ingress or breathing hard. Consider it on your next safety stop. The final dive was really just a pleasure dive. Tim and I set off for the buoyancy course to put our Peak Performance Buoyancy skills to the test one last time for the weekend and we both nailed it. Our work and training the day before paid off in spades. Then we spent a lot of time on Underwater Navigation. This was a relaxing dive at about 25 feet for an hour and a half. We toured most of the north end of the quarry. At the end of this dive it was time to pack up and head home. We don’t have anymore dive trips scheduled to go to Haigh Quarry this year, but we are considering adding one in October. Additionally I’ll be taking my youngest daughter down Labor Day Weekend to work on some Underwater Navigation with her. The large shallow side of the quarry is perfect for navigation training. Stop by the shop and let me know if you are interested in joining us. Keep calm and dive on. August 9th and August 10th of 2014, 4 divers from GLDL and LSS trekked to Haigh Quarry in Kankakee, Illinois for some training and Dive Cache Maintenance. The divers left West Michigan early Saturday morning and met up at the quarry in time to get 4 dives in before the end of the day Saturday. The first dive was a long surface swim with a cinder block on a lift back back to the area near the deep hole. Our mission was to attach the cache to the cinder block to keep the cache from drifting from its planted location. Water temperature at depth was a chilly 47 degrees, but visibility in the deep hole was easily 20 feet. The second dive was a combination of a Peak Performance Buoyancy Training Dive and setting the south west cache on a cinderblock as well. The Peak Performance Buoyancy training went well for all the divers. However there was some difficulty setting the cache in the proper location. As the planned dive time limit approached, the decision was made to set the cache near the spot and return on Sunday. The third dive of the day was a second Peak Performance Buoyancy Training Dive and pleasure dive. We all got a practical lesson in the importance of weight keepers as we tried to analyze trim problems for the divers. Otherwise the skills went well and staying in the shallow end of the quarry gave us the opportunity to stay a bit warmer. Unfortunately the visibility at that North end of the quarry was way down from the dozens of other student divers working on their open water certification. Running the obstacle course for buoyancy was fun and everyone performed admirably. Rested and warm, the decision was made to go perform maintenance on the North East Cache. This required a long surface swim across the quarry, but the setting of the cache went fast and there was still time for a pleasure tour at the end of the day. Look for a Day 2 Report later this week.